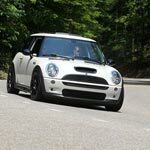 Sunshine MINIs • View topic - Been Tagged Brevard County? YO HO YO HO A pirates Life for me.2005 mini S Purple Haze. rally lights. white roof and bonnet stripes,premium package,moon roof has a skull decal .And some Humble Pie usually blasting on the stereo.Prepare for a broadside..decals add horsepower. !Oh La De Da,,the car is called HUMPEY. Ha,,found the same red base mini at the gym again on tuesday,,Who is this person? I tagged them once but no response on here. maybe the cards need to be printed bigger..with smaller words...and Dr Seuss characters on it. Maybe a cardboard stencil and spray paint tag them..only kidding. HI I tagged a silver regular mini at the fitness center on friday last week, THen I saw a silver S I had not seen in town over by Target. Got another silver reg mini at parrish.Not the same one. Yo as they say in Jersey. I tagged a yellow non s mini at parrish fitness,This one was one of those kind that is missing its roof. Yellow ,black stripes. Also there was a white plain mini also. Thias one has been carded by me a couple times. There is also a new one in tville I see on country club.They have a red non s roofless car also. No stripes. Shoot if we could all the Titusville ones to join we would have some major membership in the north area. Got a black mini S at the Publix on Know McRae inTitusville today about 4 ish. Looked pretty cool. I might have tagged this one already,had a sticker on the back window..some kind of (taproot) sticker,,must be a farmer or gardner of some sort. I tagged a British green mini from North Carolina at the Brevard Zoo today. had some decals on in but none I can remember. Re: Been Tagged Brevard County? Hi all, I live in Titusville in La Cita. I drive a pepper white S with Magnaflow exhaust and many other mods. I just found out about the brevard Mini's. Nobody has tagged me yet! How do I get in touch with all of you? I've been driving to Orlando and driving in their ralley's. I'm going to the Undie 500 today in Lake Mary. You should all come if possible! Hi Jeff, I'm trying to get some people together this weekend. Are you going to be around?